Two of the UK’s top young talents are in the running for the brand new ‘Best Online Cash Player’ trophy at this year’s British Poker Awards ceremony. Alex ‘Kanu7’ Millar and Matt ‘MUSTAFABET’ Ashton both had an outstanding 2013, and the pair are among the names in the running when the star-studded ceremony comes to the Hippodrome Casino in London on March 3rd. Millar has been one of the UK poker scene’s best-kept secrets, remaining out of the spotlight before spending 2013 holding his own against some of the biggest names in the heads-up game. Liverpudlian Ashton, meanwhile, followed up his online results with a breakout live year, winning more than $2million in Las Vegas last summer and taking home his first bracelet. The duo are joined on the shortlist by online veteran Ben ‘Milkybarkid’ Grundy, Rob ‘Vaga_Lion’ Akery and David ‘SexyGee’ Gent, all of whom are regulars at the highest stakes. 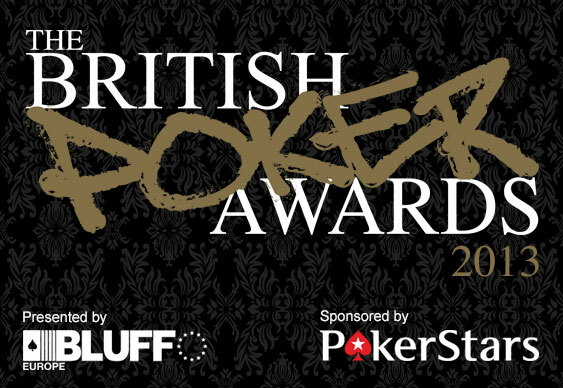 The 2013 British Poker Awards, sponsored by PokerStars, will feature 18 categories awarding the biggest talents in the game, and is organised by Bluff Europe in association with several leading poker media outlets. Tickets are available to the public and will go on sale next week.